Playing with RC cars is fun, but now the ESA is taking it to a whole new level. They are planning to try controlled robots on earth from the International Space statiion, in real time! And in order to do this they also had to develop the worlds most advanced joystick. It’s so big you have to mount it on your body. And It aims to be so sensitive as to simulate the feel of touch. Behind the scenes, a complex suite of servo motors can withstand any force an astronaut operator might unleash on it, while generating forces that the astronaut will feel in turn – just like a standard video gaming joystick as a player encounters an in-game obstacle. The difference in orbit is that, to quote Isaac Newton, ‘every action has an equal and opposite reaction’ – so to prevent the joystick’s force feedback pushing its free-floating user around it is mounted to a body harness that can be fixed in turn to standard Station equipment. Precision robotic control requires exact feedback of what the robot experiences, extending from visual displays to sensory feedback – a remote sense of touch. So what’s this going to be good for? For example in the future we could control robots from orbit to explore inhospitable planets as if we were actually down there. Future planetary exploration may well see robots on an alien surface being teleoperated by humans in orbit above them – close enough for realtime remote control, without any significant signal lag, to benefit from human resourcefulness without the expense and danger of a manned landing. An experiment & architecture to validate future human-robotic mission operations concepts from space, using the ISS. 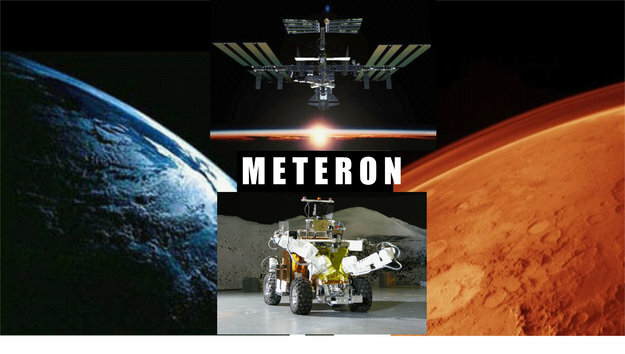 METERON is an ESA led international space project for advanced telerobotics technology demonstration involving the International Space Station. METERON is targeted at validating autonomous and real-time telerobotic operations from space to ground. METERON will provide answers to how future exploration mission scenarios need to be designed, if crew is located in a planetary orbit (Moon, Mars, Asteroid, etc..) and robots must be controlled a planet or celestial body. 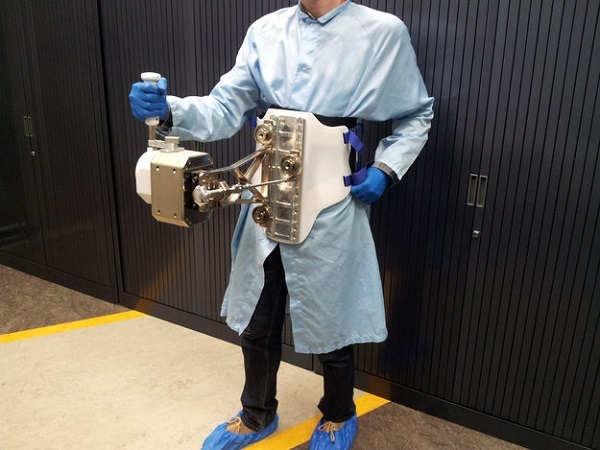 To test various scenarios and to validate the related technologies, robots on Earth will be controlled from the interior of the International Space Station (ISS) during the METERON project. Control devices will be force reflecting joysticks and arm exoskeletons. The microgravity environment of the International Space Station is key for researching the behaviour of haptic teleoperation in space. For now testing is limited to playing ping-pong style computer games. However in the near future they will begin testing this technology with robots on earth, controlled by astronauts on the ISS.